LGBT flag map of New York Wikimedia Commons, CC 3.0. 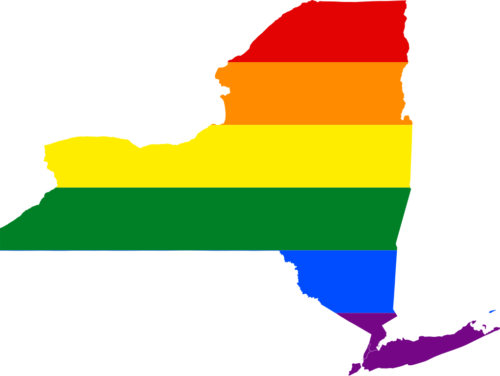 New York officials have proposed authorizing coverage for transgender hormone therapy for patients under 18 in the state’s Medicaid program for low-income New Yorkers. The proposal issued this week would amend regulations issued almost two years ago. The health department says practitioners who treat younger patients for gender dysphoria say starting hormone therapy earlier could be medically necessary. It’s subject to a 45-day public comment period. Existing regulations authorize coverage for patients 18 or over for hormone therapy based on a doctor’s assessment and gender reassignment surgery with referrals from two health care providers in separate assessments.